This collection contains 21 trios in a variety of styles from classical to folk, and includes some new original works as well. Each piece is playable by any combination of three wind instruments. Trios are a great way to learn how to play in a chamber music setting, and this unique collection gives players the opportunity to do it with anyone else that plays a wind instrument, making for an almost limitless combination of instruments. 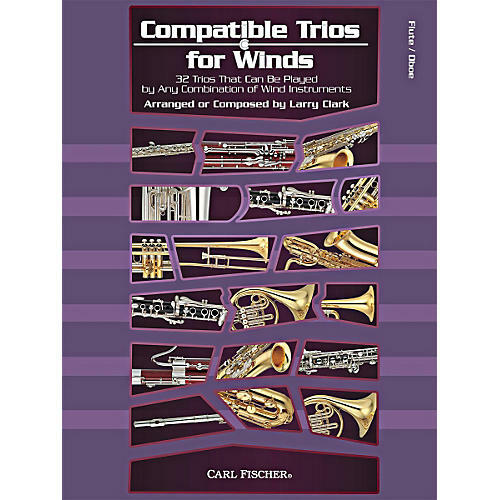 Compatible Trios for Winds is especially useful in a school setting where students are eager to play music with friends. The flexibility of these trios makes them a must-have for any wind player. Includes tunes such as "The Irish Washerwoman," Brahms' "Hungarian Dance No. 5," Larry Clark's original "Harvest Moon," and more.